3 Leaf Floral | Campo de' Fiori | Naturally mossed terra cotta planters, carved stone, forged iron, cast bronze, distinctive lighting, zinc and more for your home and garden. 3 Leaf is a nature-inspired floral design studio established by designer Kelly Mendenhall. Her Grand Junction studio space has designed weddings on the Western Slope as well as various mountain towns in Colorado, California and in the Midwest since 2009. 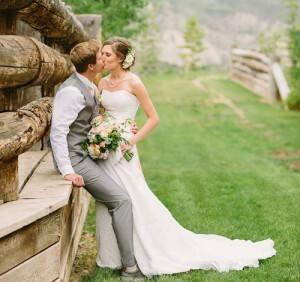 She attained a M.Ed at Colorado State in 2007, after working for Anthropologie and has trained under a variety of wedding florists nationally including Holly Chapple, Amy Osaba, Amy Merrick, and Sarah Winward . She loves balancing her floral work with her husband and two boys. 3 Leaf strives to use local growers and embrace all of Colorado’s beauties. Look for her designing in Grand Junction/Palisade, Vail/Beaver Creek, Aspen/Carbondale, Telluride and other Western Colorado locations. Kelly’s designs are unique, garden inspired and reflect the natural style and beauty of the Rocky Mountains. Look for her featured in Style me Pretty, Flutter Magazine, The Knot, The Wedding Pink, Grand Valley Magazine, and The Wedding Chicks.